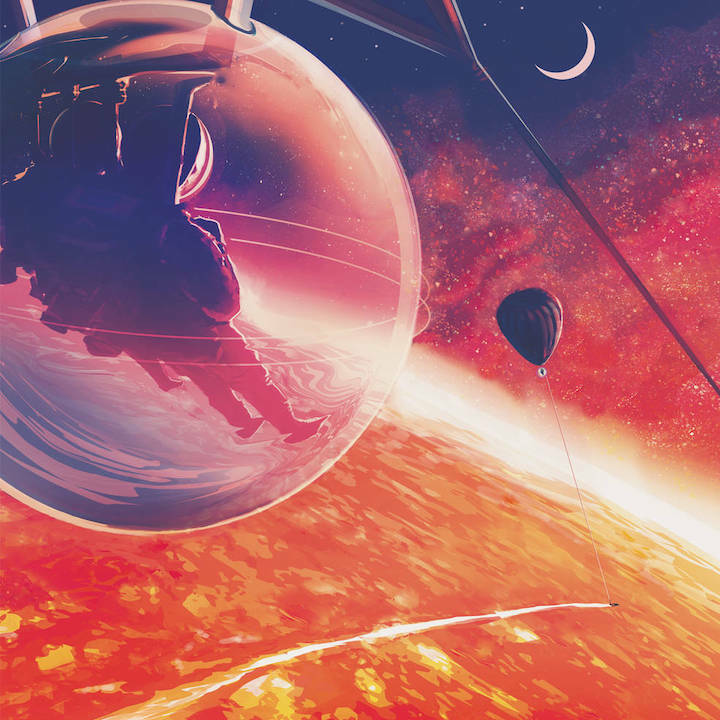 This Exoplanet Travel Bureau poster illustration shows futuristic explorers gliding in a protective bubble over the red-hot landscape of the exoplanet 55 Cancri e. Exoplanets are planets outside our solar system. 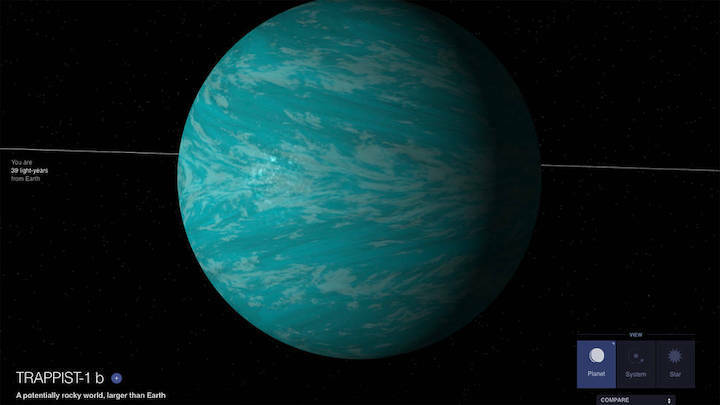 This artist's illustration from the Exoplanet Travel Bureau's 360-degree visualization tool reveals what the surface of exoplanet 55 Cancri e might look like, based on the limited data available. 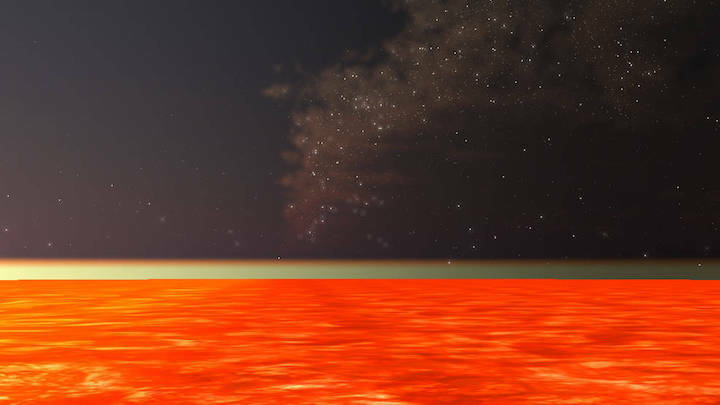 This exoplanet (a planet outside our solar system) is thought to be covered entirely in molten lava. Among other features, the searchable Eyes on Exoplanets 2.0 lets users compare an exoplanet’s size to that of Earth or Jupiter; determine how long it would take to travel to a given planet by car, jet or light-speed starship; and interact with virtual models of NASA space telescopes, such as Hubble, Spitzer, Kepler and the newly launched Transiting Exoplanet Survey Satellite (TESS). This artist's illustration of a planet in the TRAPPIST-1 system can be found in NASA's Eyes on Exoplanets 2.0. The web-based program lets users virtually fly through the galaxy and visit any of the nearly 4,000 known exoplanets, all visualized in 3-D.